The New International Bible Commentary Series offers the best of contemporary scholarship in a format that both general readers and serious students can use with profit. Offers an excellent exposition of the English text of Romans and tackles the difficult theological questions that arise throughout the book. Romans : Vol 6 : New International Bible Commentary by James R. Edwards was published by Paternoster Press in April 1995 and is our 25109th best seller. 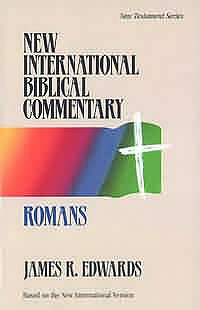 The ISBN for Romans : Vol 6 : New International Bible Commentary is 9780853646600. Be the first to review Romans : Vol 6 : New International Bible Commentary ! Got a question? No problem! Just click here to ask us about Romans : Vol 6 : New International Bible Commentary .